Glenn Stokes's passion for photography began as a teenager, when he started snapping photos of insects, reptiles, flowers, and beautiful landmarks. He has presented his work for historical and botanical societies and sold botanical images to book publishers. His photographs, which include images from Panama, Thailand, Singapore, the Bahamas and Puerto Rico in addition to the U.S., have earned him numerous awards. More than 2,000 of his best images are available on his websites: www.stokesbotanicalimages.com & www.stokestropicals.plants.com. Glenn has exhibited and sold metal prints throughout South Louisiana. These metal prints are made by infusing dyes directly into the micro pores of coated aluminum metal sheets, producing stunning high-definition images. They are waterproof and durable, and do not require glass, matting or frames. 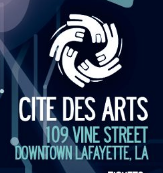 Glenn's Art Opening at Cité Des Arts will be September 14, during the Downtown Artwalk.